Ironically, safety is one of the last things ever observed by purchasers looking for a new automobile. They look at seating, amenities, fuel efficiency, powertrain, and price. Safety is always a last concern until an accident happens. That’s where the irony takes place; moving at extremely high speeds in a massive pile of metal and glass on a daily basis should invoke safety as a first thought for any rational human being. Unfortunately, we’ve become so accustomed to driving that sometimes we forget its perils. That may be a big reason why the NHSTA has upped its standards on crash tests for the 2011 model year. We’ve taken their results, and those of the IIHS as well, to bring you 2011’s safest cars. One of only two sedans to be awarded a five-star overall rating by the NHSTA’s new standards, the Sonata performed the best of any sedan in both government and IIHS independent research. 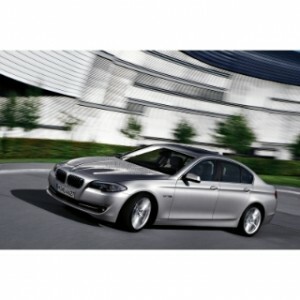 It received four stars in front-impact protection and five stars for side protection. It was tested by the IIHS in their frontal-offset, side-impact, and roof strength tests, earning a top rating in every category. Braking was also above average for the Sonata, bringing the vehicle to a stop from 60 mph in just 128 feet, and 120 feet for the 2.0L turbo model with wider tires. Stability control, traction control, front seat side-impact airbags, full-length side curtain airbags, and active front head restraints all come standard and contribute significantly to this Hyundai’s safety achievements. The only other vehicle to be praised with a five-star overall rating in the new tests, the BMW 5 Series matched the Sonata in every standard available. Granted, the price is just a tad higher, but the availability of technological safety features on the Beamer is also much more diverse. Among the technological assistance you’ll receive for the added price of this luxury sedan is a pre-collision system that will warn the driver of following too close and, if a collision seems imminent, actually apply braking. There is also a lane-departure warning system and blind-spot monitor which alerts the driver to danger via steering wheel vibration, as well as the BMW Assist emergency communications system. 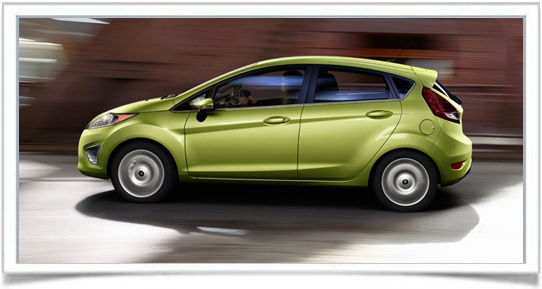 With proof that bigger doesn’t always mean safer, the Fiesta tops the list of safe compact sedans. It earned four stars overall in government crash testing, four stars for front protection and five for side protection, which matched the scores for much bigger competitors like the Audi A4 and Hyundai Genesis. The IIHS gave it a top rating of “Good,” and independent brake testing performed by Edmunds brought the vehicle to a stop from 60 mph in a respectable 119 feet. Stability and traction control, side curtain airbags, front-seat side airbags are all standard, as is a class-exclusive driver knee airbag. This one could actually go to the Audi A4, S4, and A4 Avant as they all garnered the same results from the NHSTA’s new crash tests. They received four stars overall as well as for frontal protection and five stars for side protection. The IIHS rated them all with their highest mark of approval, “Good,” in both frontal-offset and side-impact testing. Add to that the fact that the braking system of the A4 brought the sedan to a stop from 60 mph in an amazingly short 103 feet in Edmunds independent research, and you’ve got a vehicle that will not only protect you in the event of an accident, but may actually prevent the accident altogether.